We are proud to congratulate Bridgedale Academy grad Zakary Karpa on his verbal commitment to play his Division 1 NCAA hockey at Princeton University. This season Zak competes for the Honeybaked Hockey U16 team. A highly skilled forward who has also skated with USA Hockey's National Team Development Program U17s this season, Zak is the 16th Bridgedale grad to have earned his D1 commitment. Zak was also a 4.0 Honors student during his two years at Bridgedale Academy. "Honeybaked Hockey is thrilled that Zak has made his college commitment to Princeton University," says Bill Warren, Zak's coach at the Honeybaked U16 team. "Not only are the Tigers getting a solid two-way player who has the ability to make his teammates around him better, they are getting an Honor student athlete who has done a remarkable job of balancing education and hockey." “Zakary is a wonderful young man,” said Bridgedale Academic Dean Christina di Pauli who praised Zakary's academic achievements and quality of character. "He achieved High Honors academically every trimester at Bridgedale and was also a winner of Bridgedale's full-year Ductu per Agone Leadership Award." 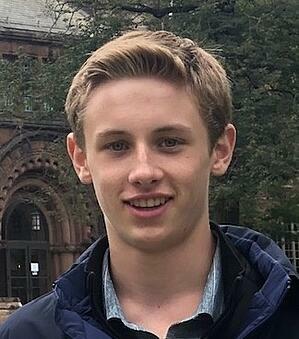 "It was his dream to play college hockey at an Ivy League school," added Mrs. Di Pauli, "and he has done just that. I'm happy for Zak and couldn't be prouder of him." Congratulations to Zakary (and his parents David and Lynne) on his commitment to Princeton University.